Getting your website noticed by the search engines begins with a good website. Your website is your shop window, so consider what you want visitors to see and remember that first impressions really count. Once you have decided on your website, make sure you consider how to get it on the search engines. This aspect can be very confusing to people and there are many ways of doing it but make sure you only use approved ‘white hat’ methods. We are often asked – How do I get my website to come up in Google? Well the answer could be a one liner “let us do it for you” – but this is a short article on the main things you can do for yourself or ask your web designer to help you with. It is so important to ensure that you have good copy on your website, not only does it make interesting reading for the visitor but it also attracts the search engines. Without the search engines your website would not be found and targeting the right audience is so important so having good copy and changing it regularly will take you a long way to being found by the search engines. One of the main stumbling blocks when getting your website designed is the content. It can take ages to write and become a bit of a chore. However, it is something that you should not cut corners on. If you are competent at writing then you can create your own content, if not you should hire a copywriter. Good content informs visitors about your products or services and it persuades people to take the actions that you want them to (buy from you, contact you, sign up for a newsletter etc). If the copy isn’t good, it can prevent people from converting. If people don’t convert, then your site is failing you. Pinterest has really captured the imagination where social media is concerned and there are many businesses that use it as a shop window. It has become particularly popular with small home based businesses. There are many ways to use social media to market your business and Pinterest is one that you should not neglect. PINTEREST is a social network centred around sharing images and the odd video. Users sign up to share their favourite images by creating (pin) boards to match their interests. To each board they can “pin” relevant images and leave a small explanation or definition. Any image can be pinned, either by uploading a picture from a computer or by “pinning” it from the website you saw it on. Pinning the image from a website is the same as liking something on Facebook. The Pin appears on your relevant board to your audience. The growth of Pinterest has been phenomenal. In November 2011 Pinterest had around 4.9 million users. By July 2012 the social network had 21.2 million. In context, this is nothing compared to the Facebook audience nearing one billion, but still an impressive number. With a largely female audience, Pinterest has become an important social channel for any business wanting to put their product in front of this fast growing audience. But why are people pinning? What is the point? A Pinterest user is most likely pinning for inspiration, aspiration or recognition. Creating a board allows the user to pin images that are relevant to a theme. It could be “home decor”, “new kitchen” or “my honeymoon”. These boards become a collection of relevant images that act like a virtual scrapbook of ideas. These boards can be used as inspiration, an easy way to collect inspirational ideas around a theme, from a wedding outfit to decorating a new home. The social nature of sharing these boards means the user can be seeking other opinions on the choices, or allowing others to add suggestions to the board. You may have seen various things on the internet about Responsive Web Design but do not really have much idea of what it is or what it does. We have found some information to guide you. https://www.serendipity-online-marketing.co.uk/wp-content/uploads/2015/03/SMO_logo-300x138.png 0 0 SEO Researcher https://www.serendipity-online-marketing.co.uk/wp-content/uploads/2015/03/SMO_logo-300x138.png SEO Researcher2012-10-23 14:27:012019-02-26 13:28:06What is responsive web design? SEO can be difficult at the best of times but if you are trying to make sure that your site is optimized for mobile users, you might find yourself sinking into a mire. There are several ways of ensuring that your site is accessible to most people and we have found some helpful articles for you. As with most things in life, mobile search engine optimization (SEO)-the art and science of ensuring your content is easily found on tablets and smartphones-comes with a carrot and a stick. First, the carrot. All those people browsing the Web and using apps on their mobile browsers are often highly motivated to take action-such as buy a product or service from your site. For example, Mobile Marketer estimates that 70 percent of all mobile searches result in user action within one hour. Nine out of 10 mobile searches lead to some action, and over half of the time, it’s a purchase, according to Search Engine Land. Ensuring your content is easily found by mobile users and renders well on their screens could deliver a bottom line boost. Now, the stick. 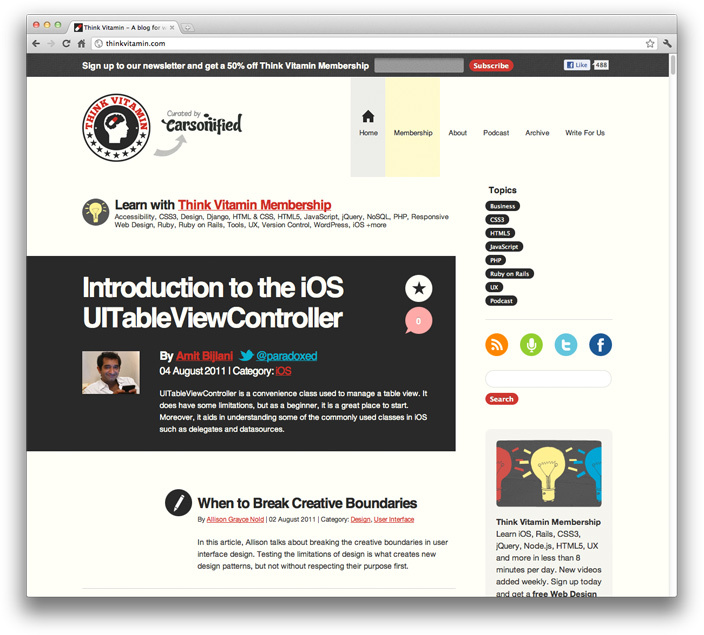 If you don’t optimize your site for mobile users, you could get left behind. According to Gartner, mobile devices are expected to overtake PCs as the most common Web-access devices worldwide by 2013, while a BIA/Kelsey report predicts mobile local search volume will surpass desktop local search for the first time in 2015. Mobile search is big and getting bigger. Some estimates suggest that mobile search now accounts for 25 percent of all U.S. search traffic. Users are increasingly tapping keyword searches on touchscreen keyboards. They’re also asking questions of Siri, Apple’s virtual assistant that rolled out to more iOS devices on Sept. 19, and Google Now, the virtual assistant that debuted in Android 4.1 Jelly Bean. Sometimes it can be difficult to sift through all the information that you are looking for on the internet but if you can focus your search on what is relevant to your requirements, you can pick up some really interesting information. For instance, there is so much stuff out there on Google’s latest Panda update and a lot of it is very informative and useful but some of it is not so good and even confusing. Trying to get your website noticed is always the goal and if you can understand at least some of the rules and regulations, you stand a decent chance of getting that. Try and keep up to date with internet news and see what you can gain from it. Since late May, internet marketers have waited for the latest Penguin update from Google. Matt Cutts, the company’s distinguished engineer, said earlier this summer that Panda updates would likely be more minor moving forward with Penguin having the largest impact on SERPs. That wasn’t exactly true, as Google confirmed last week that its latest iteration of Panda rolled out on September 27. The version, dubbed Panda 20, impacted 2.4 percent of search queries, Search Engine Land reported, and Google’s Penguin update on Friday was comparatively small. Brafton reported that Panda 20 comes at an interesting time since another algorithm rolled out the following day. Unrelated to either Panda or Penguin, Google announced a new algorithm that removes low-quality content from rankings even when the site’s URL exactly matches a query. For sites that saw traffic gains or losses around this time, it may be difficult to ascertain what the cause was. With the rise in business being done on mobile devices, ever more apps are being developed to make it easier. Pinterest has grown in popularity over the last year and some of the other social networking sites are trying to offer similar services. Google have released another update to their Panda algorithm but this is not just a data refresh, it is an actual update which will hopefully not cause the issues that previous updates have created. Last Friday, Google announced the EMD update. It was billed as a small and minor update, but the effects seemed to be fairly large, with many webmasters claiming to have been hit. 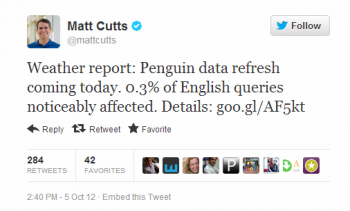 Google’s Matt Cutts made it a point to say that the algorithm change was unrelated to both Panda and Penguin. He then said it was not the only update that was rolling out during that timeframe, noting that Google makes changes every day (over 500 a year). He didn’t happen to mention that there was a new Panda update, however. Finally, he has dropped the news that there was indeed a Panda update going on at the same time as the EMD update (and it’s still rolling out). Were you impacted by one of these updates? Are you able to discern which one it was?